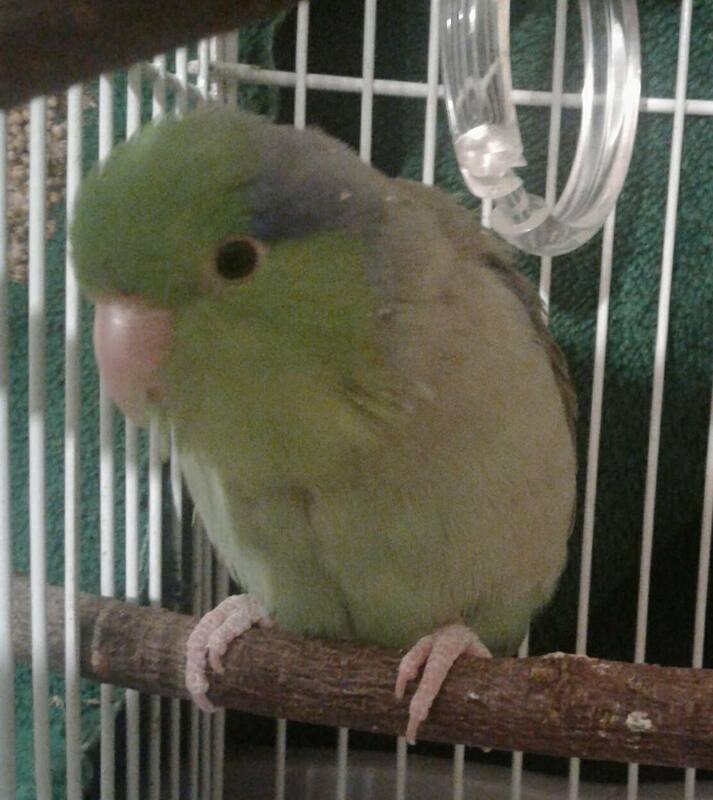 As I just mentioned in the Macaw forum, I'm developing a kindergarten parrot presentation and in it, say that the Hyacinth is the largest parrot species and Parrotlet the smallest. 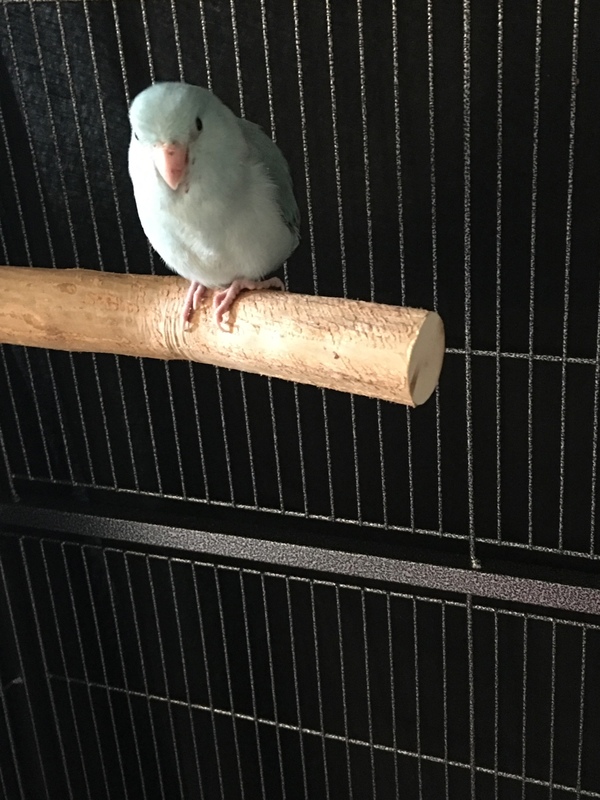 It is oddly difficult to find a high-quality photo of a front-perching parrotlet (shot straight on). I wondered if anyone here would be interested in taking a photograph for me? It would need to be on a fairly thick perch (toes can't wrap all the way around). Also -- embarrassing, but I just realized this week that this species is spelled parr-OT-let, not parr-O-let. Is the "t" audibly pronounced? 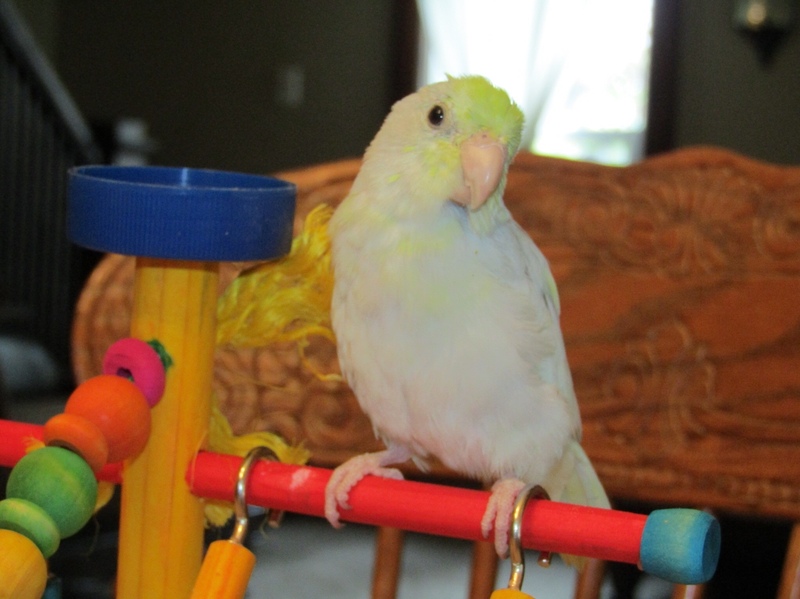 Re: Needed: photo of a perched parrolet! This is the only one I've got for now, if it doesn't work and no one else has a photo I could take one for you tomorrow. The only one I have of Bumble perched is in someone's finger. I can also try to get a few tomorrow and maybe something will work. 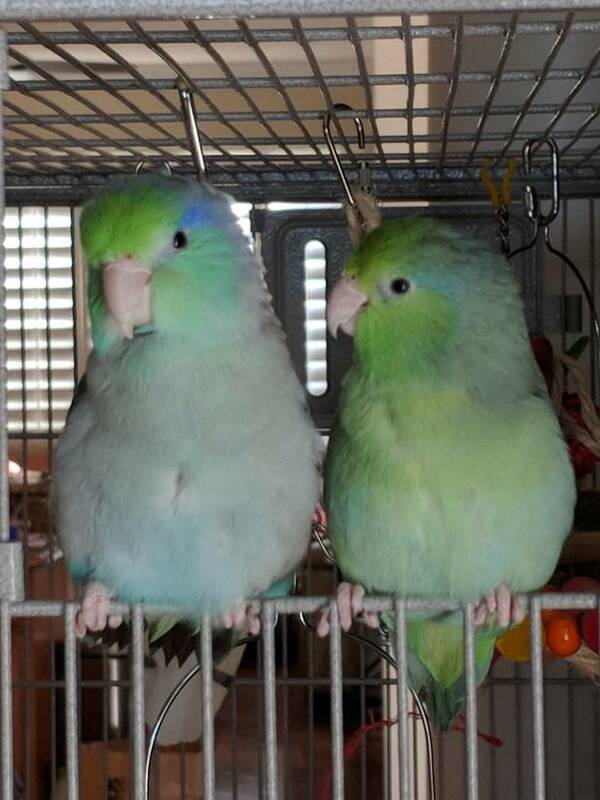 Incidentally, Parrotlets are the smallest parrots kept as pets. The Pygmy Parrot is smaller. The Pygmy Parrot is smaller. Ah yes, I forgot that! But...there are almost NO good photos of these guys! I'll stick with Parrotlets. BirdSquawk, thanks for the image--I think I need one where the bird is perched on a thick perch, upright. Thanks guys, any help is appreciated! Inger, what a cutie!! It's a bit blurry and would need to be taken dead straight on (no angle), though. Oh, yay -- I just realized I have one stock photography credit left on a site that has parrotlet images. Whohoo! I know this is LATE but Chirps comes out of quarantine this week. This is Chirps' "peaking" pic. It's just too cute not to include. Hope you found what you needed!!! One of these posts surely helped. 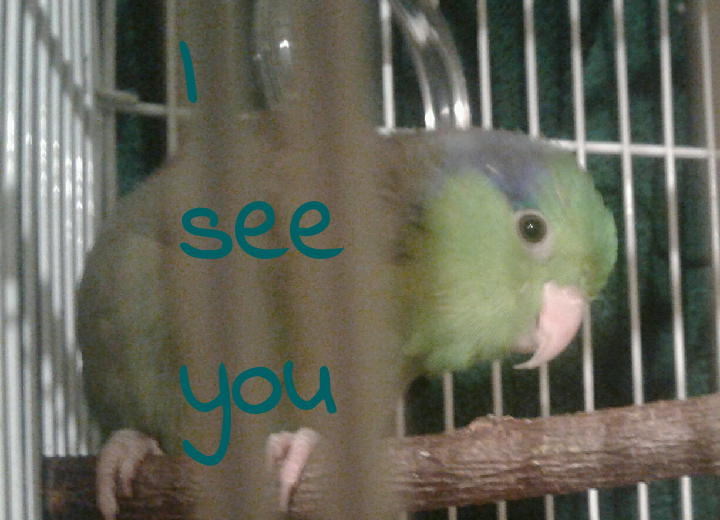 Parrotlets are just so darned cute!!! Last edited by LeslieA; 10-29-2018 at 12:13 PM.